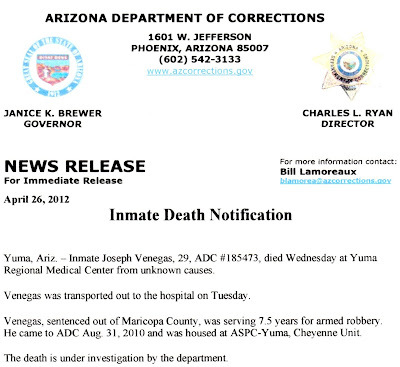 Arizona Prison Watch: ASPC-Yuma Deaths in Custody: Joseph Venegas, 29. 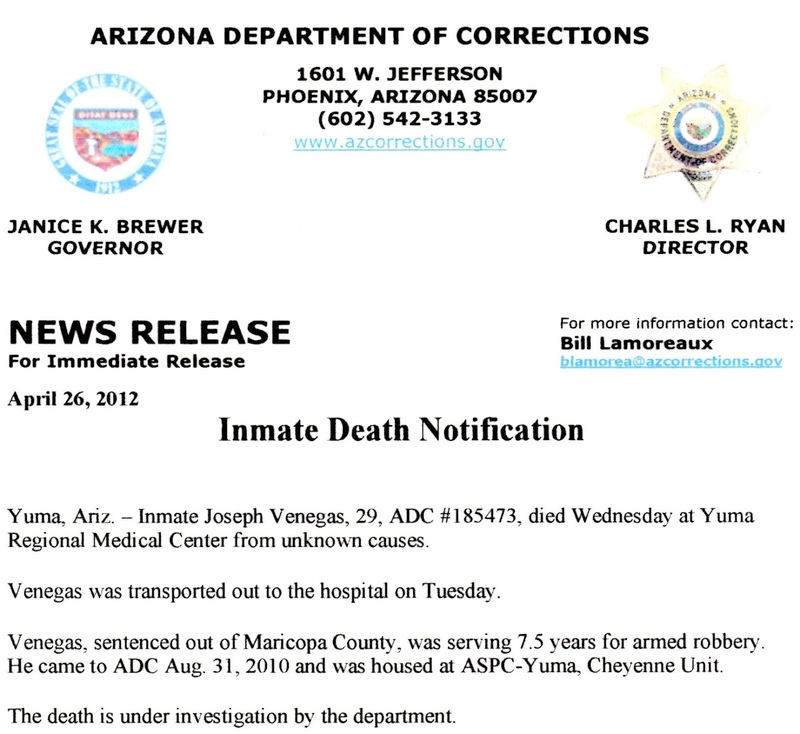 ASPC-Yuma Deaths in Custody: Joseph Venegas, 29. Joseph Venegas, 29, died on April 25, 2012 of unknown causes. He was a prisoner at ASPC-Yuma/Cheyenne. 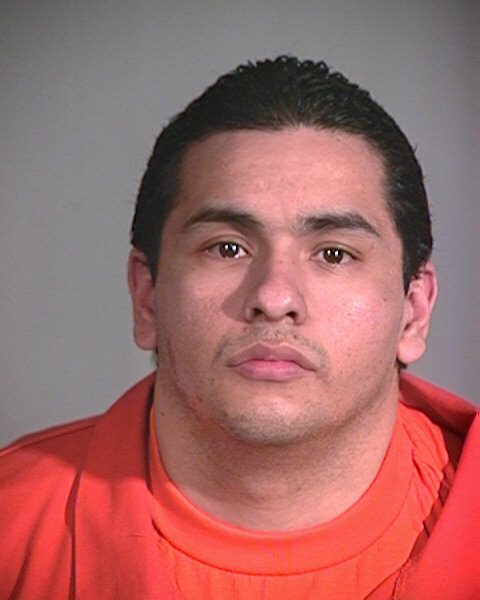 If anyone has any information about his life or death, please contact me (prisonabolitionist@gmail.com).